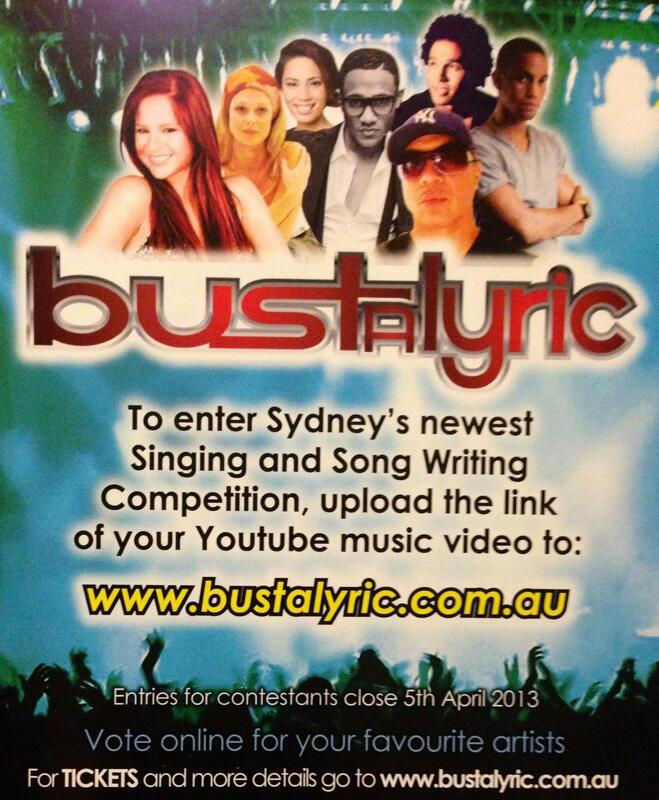 BUSTALYRIC – Australia’s Hottest New Music Talent Search! Introducing Bustalyric, Australia’s newest competitive talent search platform of artist discovery coupled with advanced career mentoring. Talking to the talent quest’s founder and mentor, Joe Fidow, former member of 90’s Sydney based Aria chart topping R&B group Kulcha, brings the true essence of what a competition like this will provide for our local talent. Fidow has always had his finger on the pulse of Australia’s music artery. He has lent his stellar songwriting skill and prose to countless projects over the years through deals with EMI Publishing, aswell as being linked productively to some well-known and loved radio hits which have in turn become household names across the nation. Never boastful of his success, Fidow has toiled away behind the scenes since Kulcha ended their chart reign in 1998 and has done so with humble persistence. The wait has, dare we say it, paid its dues in the form of Bustalyric and it is getting ready to blow the roof off with its brimming talent pool. Read on to discover more about Bustalyric and the drive behind its vision…..
What is the concept behind BustaLyric and how does it differ from the music competitions such as X-Factor, The Voice etc.? Who are the founders behind the contest and what are your varying musical backgrounds? The initial idea came about back in Jan 2006 after watching the Australian idol 2005, when I saw there was a big gap in the music scene and from my experience in the music industry….. I quickly learnt that the music scene was never gonna be the same! My past: I was a former member of a boy group named Kulcha. 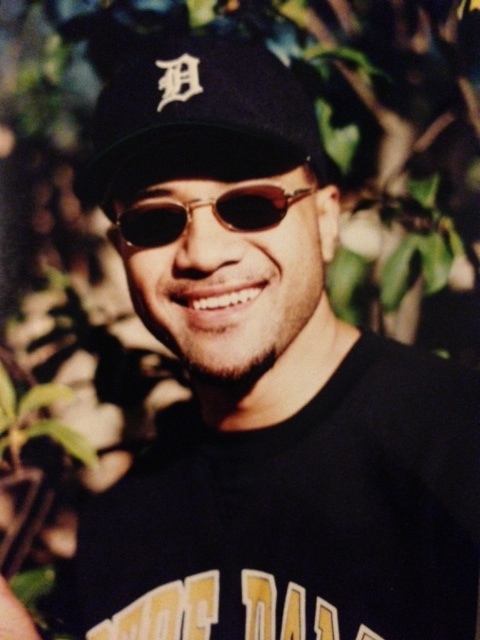 In 1994 Kulcha signed a record deal with Warner Music Australia and went on to release two albums and 7 singles. The first single released from our debut self- titled album was “Shaka Jam”, which made it into the top ten national charts, followed by “Don’t Be Shy” “Soul Feeling” “and “Fly Girl”. All of these singles sat at the top 20 national charts along with our first album. Our second album “Take Your Time” was released in 1996, and three singles were released, “Do You Like It” “Treat Her Like A Lady” (a Temptation’s cover) and “Always Be”. These singles and the second album also sat in the Top 20 charts at the time. From 1994 to 1996 Kulcha supported British group East 17 followed by Salt-N-Pepa, Boyz II Men, Janet Jackson, Kci & Jojo and the Fugees. Janet even asked us to support her on her European Tour in 1995 but due to our commitment for our Asia promotional tour we weren’t able to do……Wish we did it then!! lol. Describe the kind of talent you are hoping to attract through this competition? What should the right contestant have that will give them the right shot at winning? What prizes does the competition provide for its winners and are there official sponsors assigned to the contest? The prize for the winner of the singer category is a single and video clip. The prize for our songwriter category is a publishing deal with Ise Music Publishing alongside EMI as I (Joe Fidow) am currently signed to EMI music publishing…Both of our winners from our two categories will record with our assigned sponsors (REC) Studios in Sydney. Your position in the Australian Urban community has been a long and successful one Joe, with your career having ridden the highs and lows that come with celebrity. Will you be involved on a mentoring level to coach the artists on their journey? Most definitely, it’s probably the most fulfilling and rewarding feeling to be able to mentor any artist out there at any level, nothing will make me happier than getting involved helping out to shape new up and coming talent getting them prepared for what’s ahead of them, after all I believe we owe it to all the fans and supporters because its where I started from. I started from ground up and I wouldn’t have achieved any of the success I did if it wasn’t for Mark Pope from Warner Music and Mathew O’Connor and all other people who believed and made it all possible for us, and this is exactly why I want to give something back to the new generation of artists of today. What do you hope to achieve on a greater musical level with BustaLyric? Our vision is to provide a platform for singers, songwriters, producers, etc. to showcase their talent. We would also like to eventually do tours with concerts and live performances, this competition will open up many doors for new artists, after all the prizes attached to the competition speaks for themselves.. As we all know, social media has changed the face of the music industry, however what we are trying to do is to utilize this and gain maximum exposure. Innersoul Entertainment is an independent label that will develop its new artists for this competitive INDUSTRY!! Online voting opened on Friday 1st March. ← Rodney O – The Gatekeeper of Australia’s Urban Community!